Last week, New York’s famed Waldorf Astoria hotel closed for two years of renovations amid ongoing concerns that the Chinese government could be spying on guests. For decades, US government officials stayed at the hotel during the United Nations General Assembly. 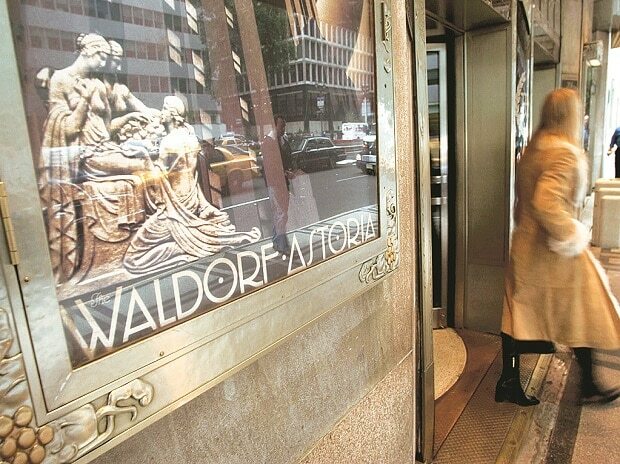 But in 2015, after the Waldorf was sold to the Chinese Anbang Insurance Group Ltd, President Obama and State Department officials moved elsewhere, citing security concerns. Last month, New York Post gossip columnist Cindy Adams speculated that the reason for the renovations is that the hotel “is getting hardwired”. Plenty of other hotels are likely to be up against similar concerns. In September, the same Chinese company bought 15 other US hotels, including the legendary Essex House in New York and the Four Seasons in Washington. The company also tried to buy Starwood Hotels but suddenly backed out of the deal last March, amid speculation the purchase could be under review by the Committee on Foreign Investment in the United States, which examines potential purchases that could raise national security concerns and can forbid them. Worries about espionage could lead not just political officials but also business executives to steer clear of properties owned by Anbang and other foreign companies. It’s common knowledge that governments —including the US, France and China — spy on foreign businesses. Technology companies also face customer fears over spying. For example, consumers have raised concerns that voice assistants like Google Home and Amazon Echo, which record what users say, could be used to snoop on them. Answer potential customer concerns pre-emptively and exhaustively. Companies whose products or services are likely to raise concerns over spying should post long question-and-answer pages on their websites, explaining in extensive detail exactly how they capture and use consumer data. They should also thoroughly outline the measures they’re taking to ensure that outside actors — such as hackers or foreign governments — aren’t able to bug their properties or gain access to data from their products. Use trusted domestic partners. Hotels and other venues like those now owned by Anbang should consider using US management companies. For example, under a 100-year agreement, the Waldorf is managed by Hilton Worldwide — a US company which has a strong interest in maintaining its own reputation by ensuring that the properties it runs aren’t bugged. Use influencers as advocates. A great way to convince consumers that properties and products are safe is to show that people who they believe have good judgement are using them.